Are you in the market for a used Japanese luxury car? Let me interest you in this beautiful Lexus with just 1,074 miles on the clock. We hope you like brown. 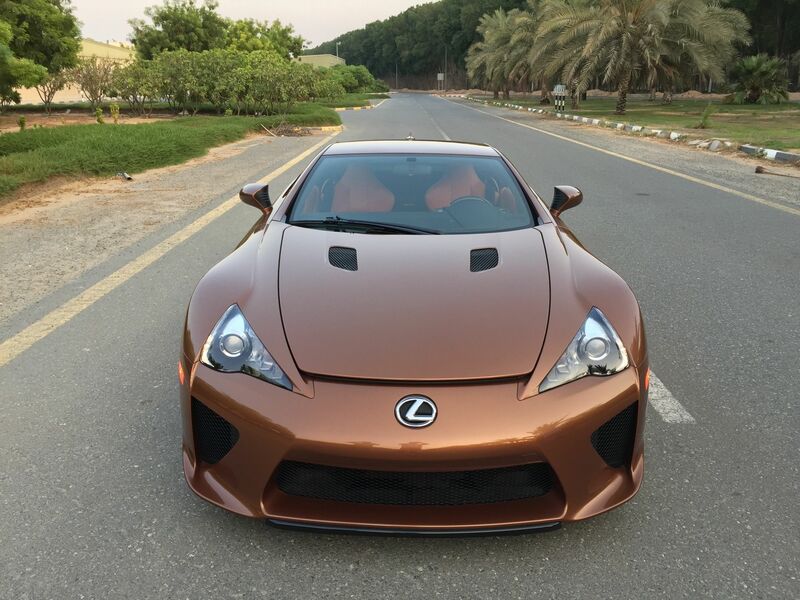 Spotted on luxury marketplace James Edition is this 2012 Lexus LFA—one of the mere 500 ever produced. According to the seller, it's also the only one in existence to be painted "Pearl Brown." Even if it isn't the case (though we have no reason to believe it's untrue), we're almost certain it's the only one that's brown and has an orange interior. 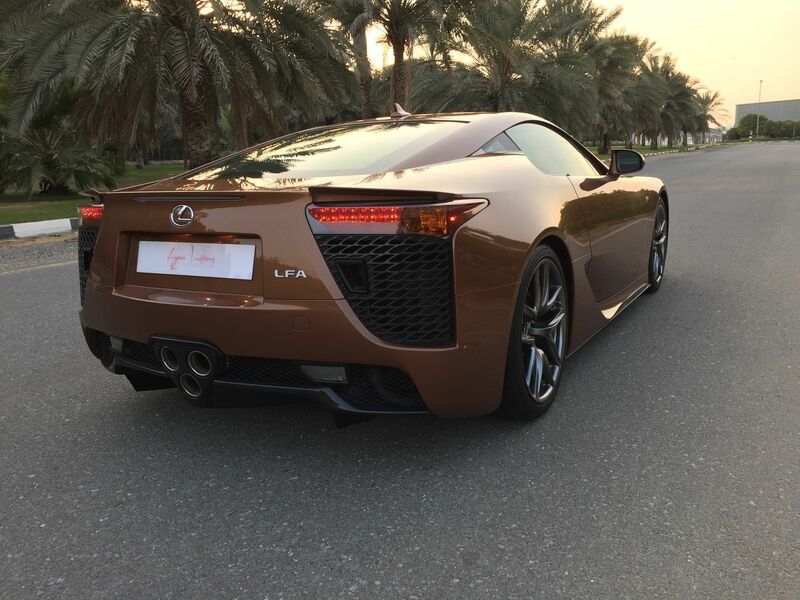 Currently for sale in the United Arab Emirates, LFA #095 is listed at a cool $645,000, or almost double its original MSRP of $375,000. The Lexus LFA was first introduced in 2010 after a decade-long development cycle as a show of Toyota's engineering might. It was powered by a howling, 4.8-liter V-10 producing 552 hp and 354 lb-ft of torque, famously featuring a fully digital tachometer because an analog version reportedly couldn't keep up with the pace at which it revved to its 9,000 rpm redline. While critically acclaimed and widely considered a technical marvel, the LFA was often derided for its astronomical price. With used examples (even brown ones) demanding figures well above its sticker, $375,000 for a Lexus doesn't seem like all that bad of an investment anymore. But, hindsight is 20/20. What do the two even have to do with each other?